Drive more traffic through the door with a Street View virtual tour of your business. We use the same technology as Google Street View to create a series of high resolution 360° panoramic images of your business that enable customers to do a virtual walk through of your business online. The virtual tour appears in Google Search, Google Maps, on your Google Business page, and can even be embedded in your website and your Facebook page. An immersive, interactive Street View virtual tour by WebFire 360 Photography will promote your business like nothing else can. Doubles consumer interest vs. a Google Business page without a Google Street View virtual tour. Gives your buiness a much richer profile on Google Maps and in Google search results. Embedding your tour increases time visitors spend on your website - an important ranking factor. Customers can experience the unique style and atmosphere of your business before coming in. Sets you apart from your competitors who do not have a Google Street View virtual tour. Works on all platforms including smartphones and tablets so you can reach your customers anywhere. We also take additional photos to show your business off to the world. 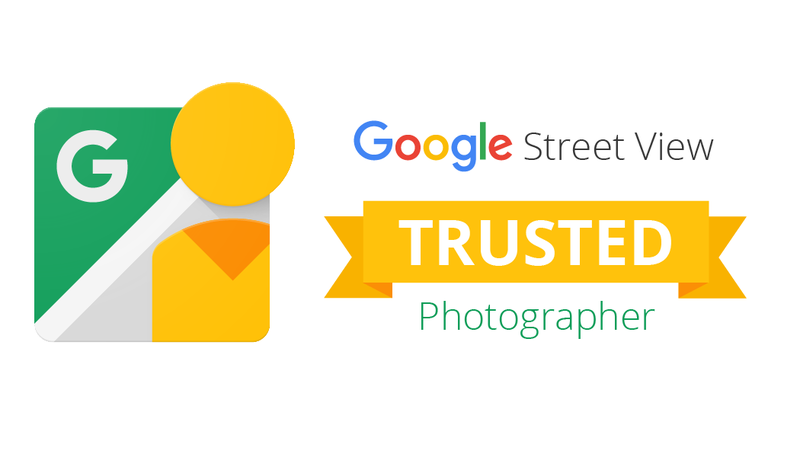 These photos are uploaded to your Google business page, and you have full rights to these photos to use for any additional purpose.